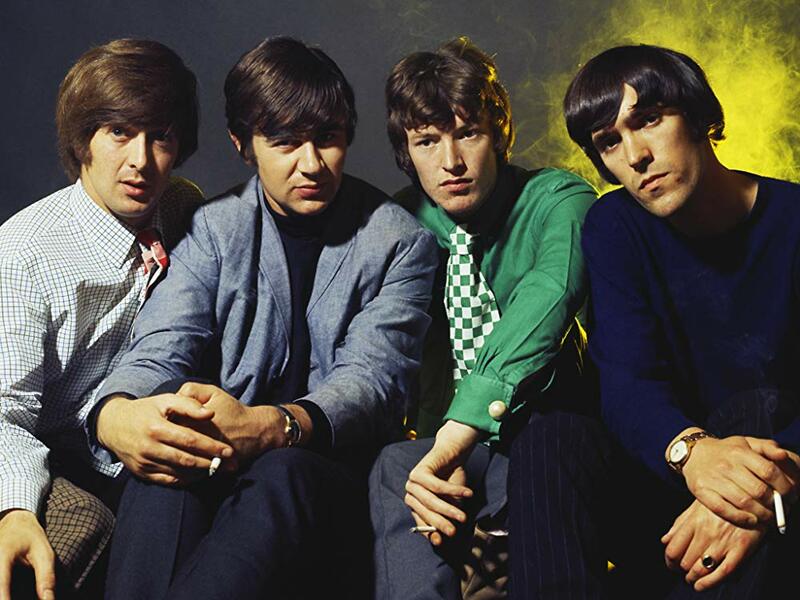 The Spencer Davis Group formed in Birmingham, England in 1963 when guitarist Davis spotted the Winwood brothers, Steve and Muff, playing trad jazz in a pub. Little Stevie was all of 15 at the time, but could already play the organ, guitar, and drums like a pro, and possessed a soulful voice that belied his young years. After honing their chops playing R&B covers in clubs for the next year, The Spencer Davis Group signed with Chris Blackwell’s Island Records, the first UK rock act to join the label, which had up until that point devoted itself entirely to Jamaican music. The group’s first four singles, cover songs from their live repertoire, barely gained attention in the UK and gained nothing in the US. They needed to try something different. Blackwell decided the band should record a track written by one of their Island labelmates, Jamaican singer Jackie Edwards, and “Keep On Running” went to #1 in the UK in 1965, even making a small ripple in North America. The follow-up, another Edwards song, also went to #1. Applying the time-honored “if it ain’t broke…” method, they drew from the same well once more, but with diminishing returns. 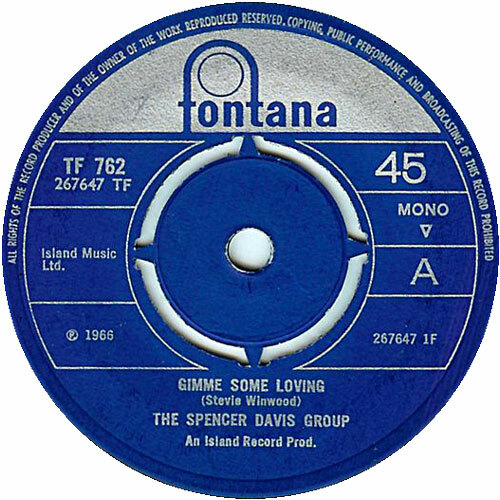 With a recording date for their next single already set, The Spencer Davis Group required a song. They turned down more offerings from Edwards but no alternatives presented themselves and time was quickly running out. The band had written a few originals prior to this, but mostly throwaways, nothing on the level of a high quality single ready to storm the charts. Out of desperation, however, Blackwell rented a rehearsal room and told the group not to come out until they’d written a song. Under pressure to perform, The Spencer Davis Group began to jam while lead singer Stevie shouted out anything that came to mind. After about half an hour they stumbled onto a riff they liked and half an hour later had written and arranged the whole song. With that out of the way, they did what any self-respecting English lads would do — they nipped off to the pub. When Blackwell came to the rehearsal room to check on their progress, he found their instruments, but no Spencer Davis Group playing them. Apoplectic, he tracked the band down at the pub and tore into them about their lackadaisical ways. Insisting they were already done and it was a sure-fire hit, the group played “Gimme Some Lovin'” for a stunned Blackwell. They recorded it quickly the next day in only one or two takes. Released as a single in the fall of 1966, “Gimme Some Lovin'” just missed going to #1 in the UK and proved their biggest hit ever in the US. Not bad for an hour’s work. But wait, that’s not all! Now for a personal anecdote: during my first year of college I worked with a band that specialized in soul and R&B covers. The lead singer wanted to cover “Gimme Some Lovin'” but couldn’t decipher the lyrics, so he asked me to give it a shot. I spent an hour with my head pressed up to the speaker of my stereo, repeatedly rewinding and playing the tape and writing down my guesses. Even now, the official lyrics don’t always seem to match with whatever Steve is singing about. Go ahead, you try it!